If you weren’t already nervous about flying, that may have changed in 2014, a year that stirred our deepest fears about modern jet travel despite shaping up as one of the safest in aviation history. The tragic dramas surrounding Malaysia Airlines and AirAsia played out before unprecedented global television and Internet audiences, confronting the travelling public with the startling truth that planes can be shot down or simply disappear. The events triggered the first major worldwide reviews of aviation precautions in years, and gave aerophobes a new reason to tense up on take-off. “I always disliked flying but now it’s a real ordeal,” said Marie Lefebvre, a Bangkok-based Canadian businesswoman who has curtailed her frequent business travel. She now occasionally takes sedatives before take-off. Exhibit A was MH370, which took its place alongside Amelia Earhart’s vanishing as one of aviation’s great mysteries, a buzzword for the terror of vanishing without a trace. The Boeing 777 disappeared on March 8 with 239 people aboard after its communications systems were apparently deliberately shut off. No trace of it has been found. It remains unknown whether an onboard emergency, hijack, rogue pilots, fire among lithium batteries in its hold, or other less-plausible theories were responsible. Four months later, MH17 was blown out of the sky over Ukraine, killing all 298 aboard and stoking superpower rivalries when the West accused Russia-backed rebels of downing it with a missile. The following week, the crashes of a TransAsia Airways flight amid rough weather in the Taiwan Strait and Air Algerie flight 5017 in Mali for reasons still unknown killed a combined 164 people, giving the impression planes were literally falling from the skies. Capping off the disastrous year, an AirAsia jet carrying 162 people apparently crashed on Sunday en route from Surabaya in Indonesia’s east Java to Singapore. The flight lost contact during stormy weather and Indonesian authorities have since spotted debris believed to be from the plane, as well as what they believe to be the bodies of passengers. Ironically, however, 2014 continued a long-term trend of improving air safety. 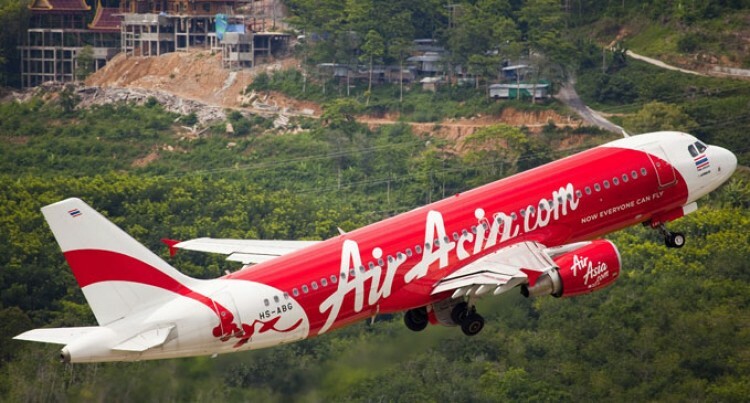 A record low of seven fatal commercial passenger incidents — not including AirAsia – occurred this year, according to the Netherlands-based Aviation Safety Network, an infinitesimal figure amid the several million flights and billions of passengers each year. There were 15 such accidents last year, while the annual average since 1946 is 32. “It’s so safe now that incidents tend to be more mysterious and striking because crashes only happen in extremely rare circumstances,” Gerry Soejatman, a Jakarta-based aviation consultant, said in comments made prior to the AirAsia incident. However, fatalities were up sharply to 762 — the highest in four years — and could rise to 924 if all the AirAsia passengers are declared dead. There was a record low of 224 deaths last year. Despite the headlines, air traffic has been unaffected. Total passenger miles travelled grew a solid 5.8 percent from January-October, the International Air Transport Association (IATA) said this month, forecasting another solid year ahead. Nevertheless, the abrupt and total disappearance of MH370 challenged modern notions of an interconnected, highly monitored world. Aiming to reduce chances of a recurrence, aviation authorities are expected to announce new global flight-tracking standards soon. These could include reporting an aircraft’s position every minute after an unexpected route change, and possibly every 15 minutes during normal flight. Positions are now typically reported every half-hour. The revelation after MH370’s disappearance that flights are not continuously tracked “was a surprise for many”, said Raymond Benjamin, head of the International Civil Aviation Organisation (ICAO). “But we now have a consensus with the industry to develop global monitoring of all traffic to improve the response in similar cases, in particular for organising search and rescue in case of an accident,” he said in comments before the apparent AirAsia crash. The ICAO is also reviewing whether flight risks over conflict zones are assessed and communicated adequately in an age of highly-armed non-state entities. Proposals on both fronts will be outlined at an annual ICAO gathering in February, Benjamin said. But little change is expected on limiting the chances of a rogue pilot or hijacker disabling communications, which also occurred in the September 11, 2001 attacks. Pilots jealously guard that power as a safeguard in case, for example, malfunctioning systems trigger a fire. Video monitoring in cockpits is similarly considered infeasible for technical reasons. David Learmount, safety editor of Flightglobal magazine, called proposed changes “peripheral” and sees no lasting industry impact from 2014. “The rest of the world has already mentally consigned (2014’s) events to the dustbin of history, and attitudes toward flying for business or leisure have not changed because statistically it is still safer than it has ever been,” he said, speaking before the AirAsia incident. But Tom Bunn, who runs SOAR — a US-based firm that offers fear-of-flying counselling — disagrees, saying dark thoughts will lurk in travellers’ minds. “The distrust (of aviation) is so profound that I think it will have some lasting impact. Anxious fliers describe (MH-style disasters) as their worst nightmare,” he said.